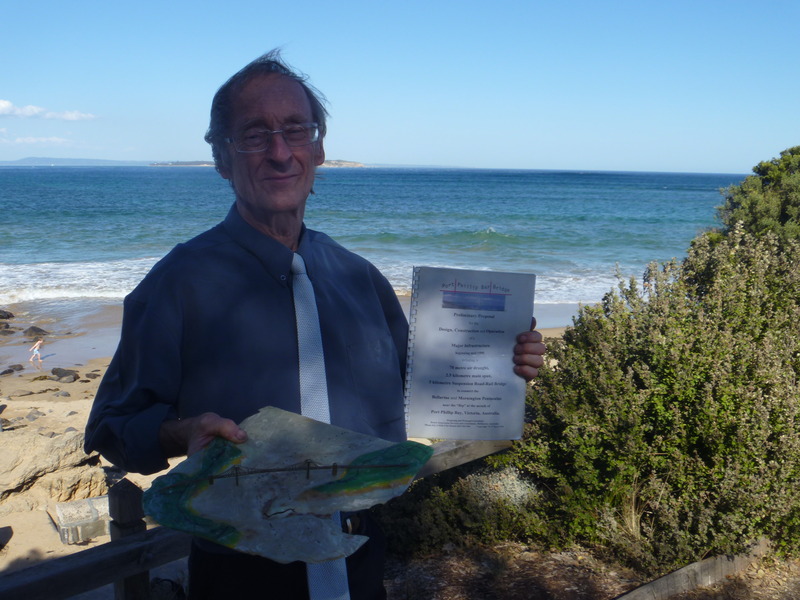 Hi all, I am inviting Expressions of Interest from Global partners to Promote - Fund this Project and especially to actively champion this project to the Victorian State Government & Australian Federal Government. 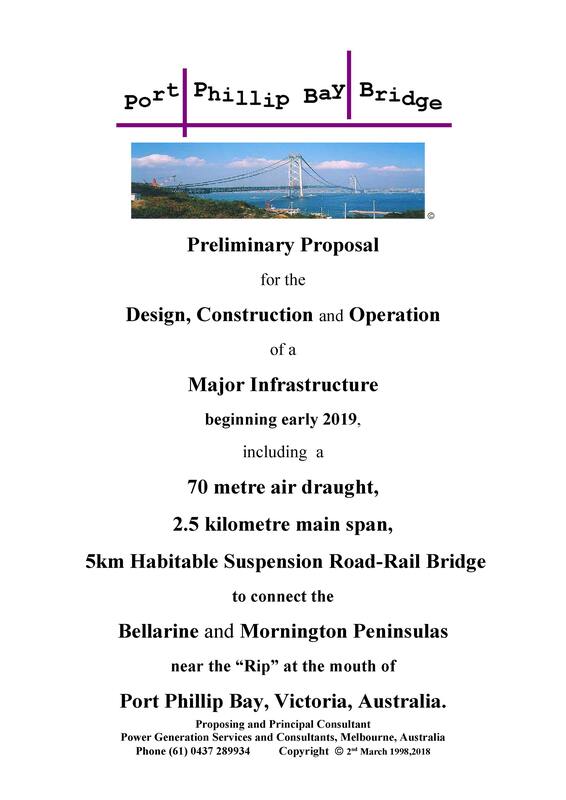 In 2019 we are going to being the process to design, produce environmental impact assessment, get approvals then, construct and operate a major infrastructure project bridging the mouth of this bay by connecting the tips of the Bellarine and Mornington Peninsulas. The project will incorporate a 5.7-kilometre suspension HABITABLE road-rail bridge with a 2.5-kilometre main span. The bridge, located 1.6km in from the RIP at the mouth of Port Phillip Bay, will have a clearance for ships of 70 metres height. Works required to connect this Bridge to existing Infrastructure will be managed as a set of subprojects. Port Phillip Bay is located on the southern coastline of Victoria, Australia with Melbourne, Victoria’s capital situated at its northern end. 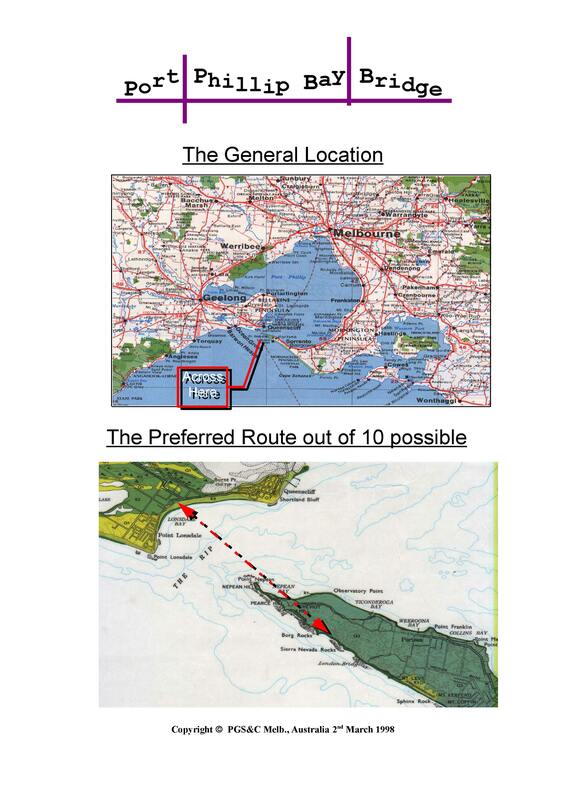 Port Phillip Bay “RIP” has been a barrier to expanding development, trade, tourism & communications between the southeastern and southwestern districts of Melbourne since Melbourne’s founding circa 1835. Have you accounted for in the route and landfall selections to still be able to build the inevitably needed sea/wall/barrier/lock needed to deal with sea level rise?